hola, guapa. 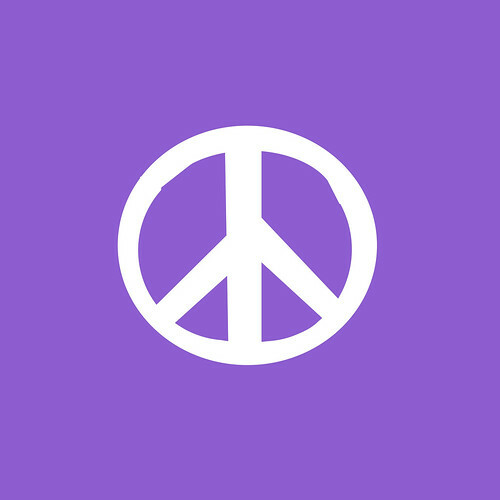 : give peace a chance. thinking back to april 20, 1999, i can't remember every little detail. but it's surprising how much i do remember. we weren't allowed to go out to recess because of a lightning storm. i remember being slightly confused, since there didn't seem to be a cloud in the sky. shortly after, i was pulled out of my third-grade class by my dad. and he said that there was a shooting at the high school. when i got home, i realized the tragedy of the situation. i spent the rest of the day at home, watching the same news pieces play time after time. and when i think about our world currently, i feel the same. today, my mom went shopping at our local mall in littleton. she was told she needed to evacuate the mall because of a "fire." so she didn't take the situation too seriously. along with two propane tanks, right by the fire. i'm so grateful that the bomb didn't go off-- that my mom is okay. are these two dates correlated? what i do know, is that these events could most likely be avoided. dylan klebold and eric harris brought bombs and guns to columbine because they were treated poorly by their peers. granted, they had some serious psychological issues, but the bullying they endured from their fellow students led to their terrifying actions. i think that some of these tragedies could be avoided. and less conflicts in the world would arise. i'm no ghandi, but i think peace is really great.